« TAP-NY x NYU Shanghai: Volunteer with KEEN Kids! Tired of hearing your mom nagging about why you haven’t brought home “the one” yet? Spent one too many lonely nights sprawled on your couch sobbing over dramas? Hoping to to find the one that you can call your #bobabae? Well, the chance to fulfill your pursuit of TAPpiness is here! 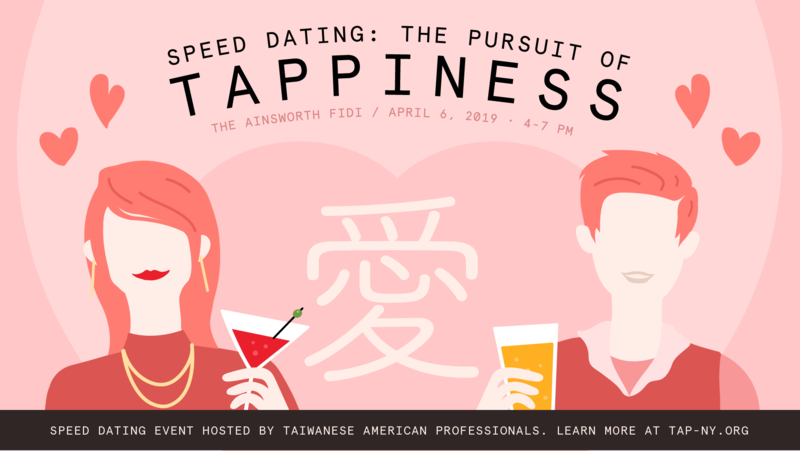 Stop trying to slide into that Insta-hottie’s DMs and instead, come participate in our fourth annual TAP-NY Speed Dating event. For a single night, you have the opportunity to rest your swiping thumb and stash away those dating apps. Come meet TAP-NY’s finest, most eligible bachelors and bachelorettes… the good ol’ fashioned way. Our motto: We provide the atmosphere; you bring on the charm! The night will begin with a light-hearted icebreaker activity that will get everyone comfortable and acquainted with one another, followed by a full round of speed dating. Speed dating is one of our most popular events, and there are a very limited number of seats. We will be reviewing your responses to the questionnaires in order to help curate the best experience possible for our members – so make sure to put a little love in your answers! This event is completely open to people of all backgrounds. Registration closes on Friday, March 29th, at 6pm ET. If you are selected, you will receive a confirmation e-mail by Sunday, March 31st with further instructions on how to confirm your spot. Please contact Jen Nguyen at [email protected] or Harrison Wang at [email protected] if you have any questions.